The International Leadership Summit, created by a Croation free market advocate and an Indian-American business, communications and humanitarian leader, in partnership with several other leading economic and civilizational-based think tanks and organizations, is holding its first Jerusalem Leaders Summit in Jerusalem this week. Why Jerusalem? Because this core collective of thinkers seek to jointly find solutions to the ravaging ills afflicting nations the world over through the shared communal values born of the Judeo-Christian tradition. The views of the co-founders of the International Leadership Summit were formed by the close range observation of the dramatic fall of the Berlin Wall. When the wall fell it signaled the end of the dreaded dark days of Communism. What it was replaced by, however, was virtually unlimited corruption and government malfeasance. Srdac, born in Croatia, was studying in Germany, and Anand Samy was in China, developing a human rights initiative through a U.S. company, when the Berlin Wall fell. Srdac watched as her native Croatia was devoured by corruption, instead of entering into a new phase of political and economic freedom. What went wrong? As both Srodac and Anand Samy realized, Croatia and the other nations created by the disintegration of Yugoslavia and the U.S.S.R were lacking three critical elements for nation building and freedom: the protection of property rights, the rule of law, and independent judiciaries, visit comp-attorneys.com law group to know more. 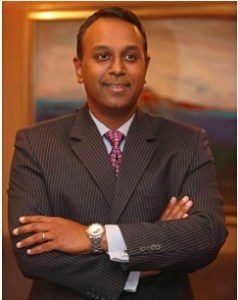 Srdoc and Anand Samy are frontline fighters in the international effort to slash terrorism funding, promote economic reforms and fight corruption. Anand Samy, in particular, has also been focused on promoting America’s partnerships with her allies. The two, through the International Leaders Summit, and their partnership with the Heritage Foundation, the Alliance for Direct Democracy in Europe, and the Family Research Council, realized the time had come to host a gathering in Israel of like-minded leaders from across the U.S. and Europe. “Highlighting Israel’s technological advancements, its innovations in every sector, its desalination discoveries and exporting of that furniture warehouse technology gives us the opportunity to reframe the discussion and to develop the important linkages to further strengthen ties between Israel and the other participating nations,” Anand Samy concluded. 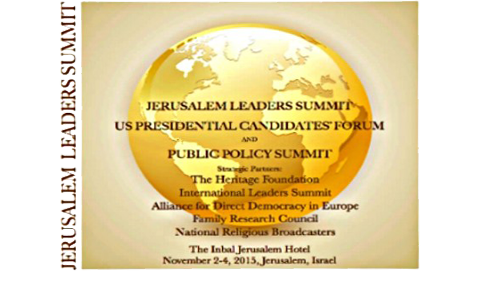 The Summit is being held at the Inbal Hotel in Jerusalem, starting Monday and continuing through Wednesday, Nov. 4th. Srdoc and Anand Samy will be joined by many other leaders in their respective fields, as well as members of the Israeli and European governments. Panelists, presenters and moderators include government leaders from EU nations, the vice president of the Heritage Foundation, the president of the Family Research Council and the president of the National Religious Broadcasters. Israeli security, government and other leaders such as Silvan Shalom, Avi Dichter, Yossi Kuperwasser, MK Benny Begin, Amb. Jeremy Issacharoff, startup guru Jon Medved, and the editor-in-chief of the Jerusalem Post, Steve Linde will also participate. It is still possible to attend parts of the Summit, by registering at the conference website JerusalemLeadersSummit.org.